There are always new products to be found on the New Green Market trading platform. 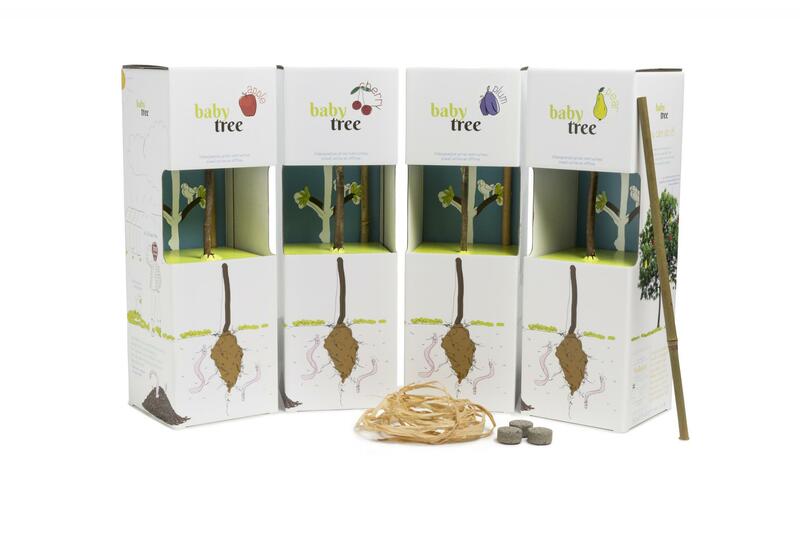 Our newest ‘scion’ at NGM is Baby Tree, a DIY fruit tree package offered by Fairplant. Increasing numbers of businesses and parties are realising how smart and easy it is to trade flowers and plants via the New Green Market marketplace, and as a result, new growers are joining us daily. We are always expanding our range and currently, we have 5,347 different products available. Because NGM is a live, online marketplace, this number can change from hour to hour. Fairplant recently registered with New Green Market. This Dutch grower from Emmeloord has enriched the marketplace with a unique product: Baby Tree. As of the end of April, these products will be available for purchase from the platform and you will be able to find the fruit trees under the plants category. Baby Tree is Fairplant’s newest product and it was introduced to the market in the spring of 2017. Fairplant initially targeted tree growers in particular, but now, this supplier of fruit tree rootstocks is aiming its products at the consumer market. With a Baby Tree package, consumers can very easily and accessibly grow a fruit tree themselves. The packages provide everything needed to grow your own fruit tree. There are currently five different fruit trees available: the ornamental apple tree ‘Flora’, the pear tree ‘Sophia’, the apple tree ‘Tobias’, the plumb tree ‘Hugo’ and the cherry tree ‘Nova’. A Baby Tree is a great consumer product, but it is also very suited to the business market, as a business gift, for instance. These DIY fruit trees were also very much in demand as a Christmas package item and they are a popular gift for births and weddings. Baby Tree is a very attractive product for the retail sector. Its unique and striking concept delivers an experience, and as such, it makes for an attractive product in stores. This product isn’t just fun, it also dovetails perfectly with NGM’s core values of innovation, accessibility and sustainability. New Green Market is very pleased to be able to expand its range with new products that have the potential to be picked up by multiple markets.